Time to make it worth for some of the more active members of the ICO community! In the following days we are releasing some small bounties. Some are not really the typical ones, some require a simple follow on Twitter. You will find them all in our Twitter and Facebook pages, so follow them. Two of the bounties would require from you to gather some points and rank on one of the top 3 spots in order to receive 30, 25 and 20 CRTM respectively (25 CRTM = 0.5 ETH at regular sale price). We also have additional bounties for both categories. Both the Twitter and the News bounties qualify together for TOP3 list with 30, 25, 20 CRTM rewards + the category bounty! Points are accumulated, top spots would win the rewards! Mention us in a tweet related to Cryptum ICO using the hashtags #Cryptum and #ICO, and one or more of the following: ICOs (#ICOs, #iconews), token sales (#TokenSale), cryptocurrency (#cryptocurrency, #cryptocurrencies). Absolutely meaningless tweets would not qualify, we need some positive attitude and text! (1 pt for 50-300 followers, 4 pts for over 300 followers, 6 pts for 1000+ followers). Once per account. Runs together with the Twitter bounty, and it requires a twitter follow (1 pts for accounts with over 10 followers). Fill in the form below to be sure we won’t miss it! Please add your Twitter account link if you want us to add points! If you are participating in both bounties, note that you must fill in our form for your Twitter follow and mention in order to be associated with your Twitter participation. We will release some questions with hints hidden around our Twitter, Facebook and Bitcointalk pages, and in the general information or the blog pages on our website. Following a release of a question, you will have time up until the end of Stage II sale in November to submit the answer or the information we are requiring. Each question would have assigned bounty value. The winner will be the person with answer closest to our data, or in some cases the most accurate data. Reward pool split between participants proportionally to the point ranking. 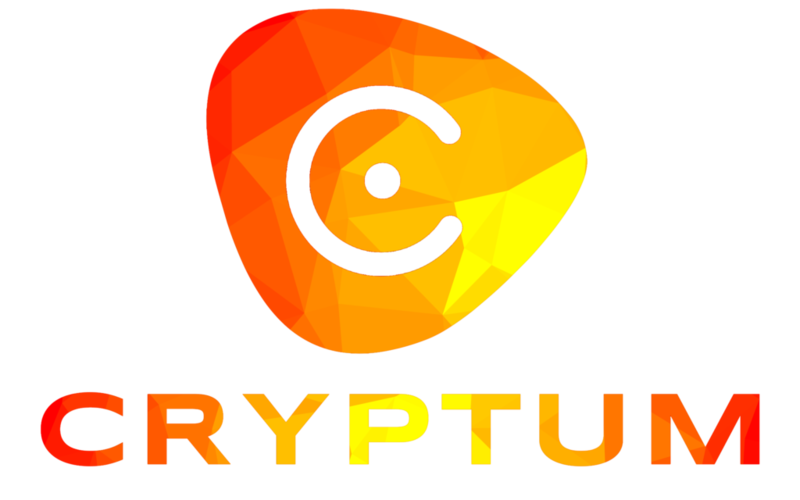 For more information see the Cryptum Bounty thread in Bitcointalk. CRTM tokens awards for Twitter and News bounties will be distributed AFTER the end of Stage I sale in October. Tokens are locked until then. How I claim my free CRTM s? after Submited that bounty form? CRTM are distributed when they are unlocked at the end of Stage I sale. We cannot move them until then as they are locked by the smart contract. It also depends on the participation stakes (points) you have accumulated, we will release a sheet at the end of the period. Do i have to submit link to my tweets and re-tweets daily by filling form in this page ? No, we can check them in Twitter. Only once so we can link your email and twitter handle. I don’t have a Twitter page but how can I utilize my facebook page?